What Does The Olive Tree or Olive Branch Symbolize In The Bible? What does the Bible say the olive tree or olive branch symbolizes? The olive branch has been a symbol for a very long time and not just for those in the Bible. In the fifth century BC the Greeks were already using it for a symbol of peace. In biblical accounts, extending an olive branch meant the ending of hostilities between two parties and signaled the end of the conflict. The United Nations flag contains an olive branch for this very purpose; to end all hostilities between waring nations or those facing confrontation but it’s also found on many of the nation’s symbols, like in the 1885 Great Seal of the United States. After the flood of Noah’s day, he first sent out a raven (Gen 8:6-7) but then Noah “sent forth a dove from him, to see if the waters had subsided from the face of the ground. But the dove found no place to set her foot, and she returned to him to the ark, for the waters were still on the face of the whole earth. So he put out his hand and took her and brought her into the ark with him” (Gen 8:8-9). After another seven days, “again he sent forth the dove out of the ark. And the dove came back to him in the evening, and behold, in her mouth was a freshly plucked olive leaf. So Noah knew that the waters had subsided from the earth” (Gen 8:10-11). That was a sign of peace…God would later promise to never send another flood to destroy man and all the other creatures. Because of the proximity of olive gardens and olive oil’s widespread use in Judea, we can be almost certain that this oil to anoint the sick was made from olives. The dove that returned to the ark brought for an olive leaf, signaling the earth had come back to life again. Since the earliest practices of the temple, the olive branch and tree have been incorporated into the temple’s interior and exterior and came to represent Israel herself. In writing about Israel, the Apostle Paul says to Gentiles (and to us), “if you were cut from what is by nature a wild olive tree, and grafted, contrary to nature, into a cultivated olive tree, how much more will these, the natural branches, be grafted back into their own olive tree” (Rom 11:24) and Gentiles, being “a wild olive shoot, were grafted in among the others and now share in the nourishing root of the olive tree” (Rom 11:17), with the olive tree representing Israel. The olive, is known by botanists as the Olea europaea.” which means “European olive” and it is a relatively small tree found in much of the Middle East, Asia-Minor, and even into China. The olive has great significance as it’s one of the core ingredients in Mediterranean cuisine. In time, olive oil’s benefits began to increase the demand for it and so olive trees were brought into the America’s by the Spanish, and later, even into Japan (1908). In the 18th century, Spanish missionaries established the olive in California but continued to spread through many parts of the world. Olive oil has also been considered as a sacred symbol because ancient kings in Israel were anointed king with it and James once wrote, “Is anyone among you sick? Let him call for the elders of the church, and let them pray over him, anointing him with oil in the name of the Lord” (James 5:14). Because of the proximity of olive gardens and olive oil’s widespread use in Judea, we can be almost certain that this oil to anoint the sick was made from olives. The Garden of Gethsemane was a place where Jesus often visited but on one specific night, he went there to be betrayed by Judas Iscariot. That was typically a place of solitary prayer; now it was a lynch mob come to take and destroy Jesus with trumped up charges and a barrage of false witnesses. The name Gethsemane means “olive press” and there Jesus had all the world’s sin all pressing down upon Him, as if to crush Him. Here it was that Jesus, “being in an agony he prayed more earnestly; and his sweat became like great drops of blood falling down to the ground” (Luke 22:44). No man alive has ever faced such pressure and torrential pain and suffering. It’s as if the olive press was squeezing Jesus by the weight of all of the sins of humanity that have ever been committed and will yet be committed. What used to be an inspiring place to pray, the Garden of Gethsemane, or basically, an olive grove, now because a place of the greatest betrayal in human history…yet much good would come of it (John 3:16). 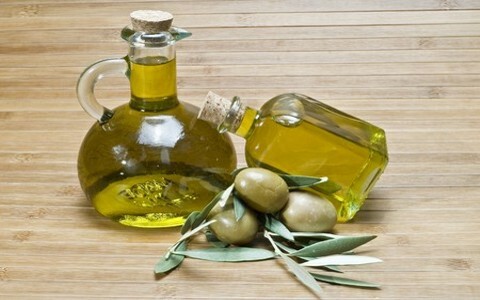 Olive oils are extracted from olives when they are pressed and Jesus was hard pressed in a garden of olives which are pressed or crushed to produce oil. In this same way, Jesus “was pierced for our transgressions; he was crushed for our iniquities” (Isaiah 53:5). When Jesus went up the Mount of Olives (Matt 24:1-2), we know what that mount must have contained and if you guessed olives, you’re right! There was the Anointed One among the source of their anointing oil, with the source of the olive trees before them (as Creator). It is here that Jesus gave the Olivet Prophecies to His disciples who had just asked two things; one, they asked about the destruction of the temple and two, they asked when was the end of the age, so they asked Jesus, “when will these things be, and what will be the sign of your coming and of the end of the age” (Matt 24:3). For us, we wait for the news of “Here is the bridegroom! Come out to meet him” (Matt 25:6) so the “virgins rose and trimmed their lamps. And the foolish said to the wise, ‘Give us some of your oil, for our lamps are going out” (Matt 25:7b-8), then “while they were going to buy, the bridegroom came, and those who were ready went in with him to the marriage feast, and the door was shut. Afterward the other virgins came also, saying, ‘Lord, lord, open to us.’ But he answered, ‘Truly, I say to you, I do not know you.’ Watch therefore, for you know neither the day nor the hour” (Matt 25:10-13). So it will be for those who don’t have the Holy Spirit (oil) and have been brought to repentance and faith in Christ on the day of His second coming. I like the topic of Olive Tree. I like to know more about it.